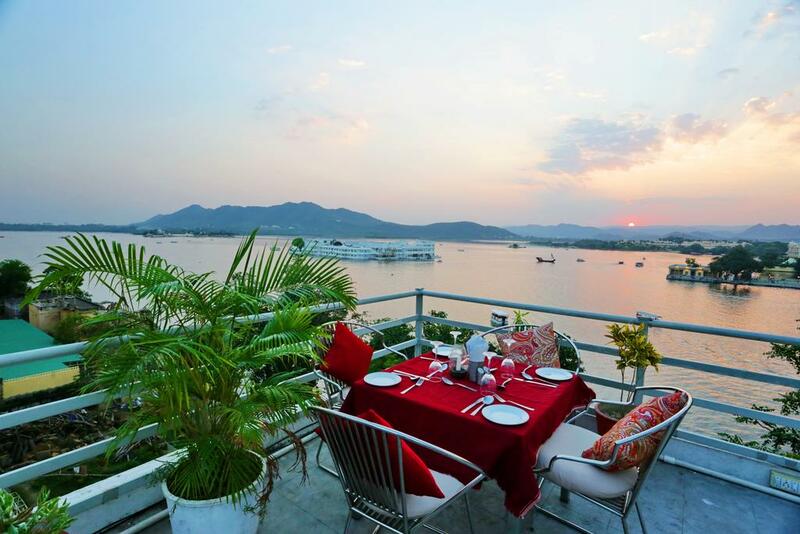 After creating the elegant boutique Hotel Verandah and the very well known restaurant O’zen , Mr. Jaideep Singh Chandela and Mrs. Nikita Singh Chandela wanted to create a space that surmised what Udaipur is all about; The lakes, tranquility , serenity and peace. It was also of paramount importance that the place had the characteristics of the spirituality that is firmly embedded in both of them. The result is The Shaharkot. A calm tranquil place, very much in the city, but away from the hustle and bustle. Just a stone’s throw away from the city palace, on the shores of the Lake Pichola with all the modern comforts and facilities, Yet is still able to make time stand still, and enables one to experience Udaipur in all its grandeur , luxury , calm and serenity. It offers a superb view over Pichola Lake, with its twin islands – Jag Mahal Island (Lake Palace) and Jagmandir Island. The vista also includes the City Palace, Jagdish Temple & the picturesque buildings of the Old City. In the distance one can see the romantic Monsoon Palace perched atop Bansdara Mountain, and the sweeping Aravali Range. Room Service, Catering, Backup Generator, Parking, Baggage Storage on Request, ATM/Banking, Coffee Shop/Cafe, Restaurant, Doctor on Call, Doorman. Western Toilet Seat, Moisturiser, Complimentary Toiletries, Desk, H/C Water, Cable/Satellite TV, Iron/Ironing Board, Voicemail, Internet Access, Balcony / Terrace. ATM/Banking, Breakfast Services, Coffee Shop/Cafe, Doctor on Call, Laundry Facilities, Parking, Restaurant, Room Service. User reviews for "The Shaharkot Hotel Udaipur"